While there are a plethora of vocational paths that an individual can pursue in order to attain personal fulfillment and professional satisfaction, opting to become a nurse practitioner can be uniquely effective in helping a person realize this objective. 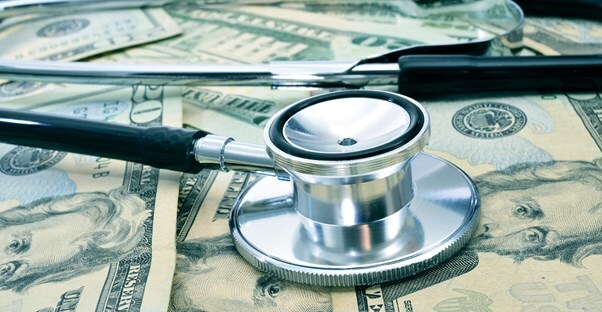 In addition to affording people the opportunity to play a meaningful role in facilitating individual and community health, opting to become a nurse practitioner can help people build financial wealth given that pay is competitive. In many cases, individuals thinking about pursuing careers in the nursing sector are specifically interested in learning more about what type of salary they can expect to earn. By examining the outline that appears below, you can obtain an answer to this concern as well as some other questions that directly pertain to the nurse practitioner occupation. Nurse practitioners are individuals who coordinate and provide patient care, which can take the form of specialty and primary health care. Although the scope of practice will differ based on location, the nurse practitioner's duties typically involve primary care. Nurse practitioners are capable of working in a plethora of healthcare settings, including, but not limited to, clinics, schools, nursing care facilities, physicians' offices, and hospitals. To become a nurse practitioner, an individual must obtain a Master's degree in a field that pertains to the APRN roles. Additionally, they must pass a nationally administered certification exam and attain licensure within their state. According to the U.S. Bureau of Labor Statistics, the average annual median salary for nurse practitioners is $96,460. The highest paid 10% of nurse practitioners earn $120,500 and the lowest paid 10% bring home $64,100. The top paying state for nurse practitioners is Alaska, and Anchorage is one amongst five of the top-paying cities for the profession in the country. To earn the highest salary possible, aspiring nurse practitioners should consider San Jose, California. There, the average annual income for a nurse practitioner is $125,450. Individuals who are torn regarding which specific vocation to pursue within the health care sector should recognize that nurse practitioners do notably well in comparison to other health care jobs. For example, the average salary for a nurse practitioner is $96,460, while licensed vocational and practical nurses brought in average annual incomes of just $42,400. Additionally, registered nurses brought in $67,930 while respiratory therapists earned $57,200. Finally, physical therapists brought in $81,110, meaning that nurse practitioners do very well in comparison to individuals who hold other health care-related positions. As made plain by the data listed above, individuals who opt to become nurse practitioners can expect to earn a relatively substantive salary. By carefully considering the income information that appears in the subsequent paragraphs, you can determine whether this vocational path will help you accomplish your personal goals and professional objectives.